My first degree was in mathematics, where I specialised in mathematical physics. That meant studying notions of mass, weight, length, time, and so on. After that, I took a master’s and a PhD in statistics. Those eventually led to me spending 11 years working at the Institute of Psychiatry in London, where the central disciplines were medicine and psychology. Like physics, both medicine and psychology are based on measurements. In medicine we might measure enzyme levels, blood pressure, heart rate, urinary flow rate, tumour size, and an unlimited number of other characteristics in patients. In psychology we might measure reaction time, pain thresholds, well being, depression, political orientation, food preferences, intelligence, and so on. What is clear about these lists is that while some of them have the same sort of physical directness as measurements in physics, others are very different. We can measure body temperature using a thermometer, but there is no physical instrument which will allow us to measure intelligence or depression. And yet we use the same word, “measurement”, in all cases. This apparent discrepancy intrigued me. My interest was further aroused by complications arising from the interactions between statistics and the results of different kinds of measurement. Many textbooks say it’s meaningless to calculate the arithmetic mean of ordinal measurements — those where the numbers reflect only the order of the objects being measured — and yet a glance at scientific and medical practice shows that this is commonplace. 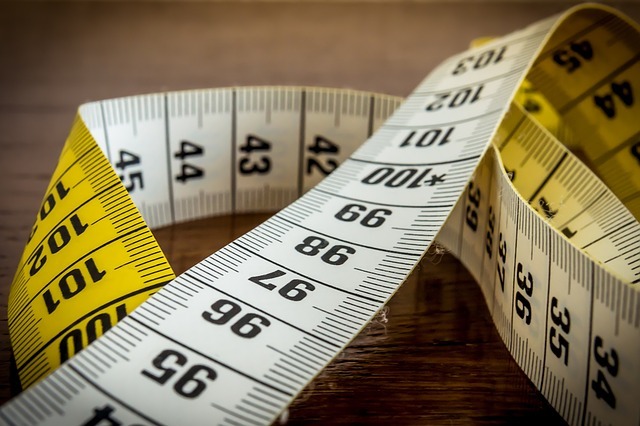 Clearly, although measurement was ubiquitous throughout the entire world (or, as I have put it elsewhere, we view the world through the lens of measurement), there was more to it than met the eye. Things were not always as simple as they might seem. Indeed, it would not be stretching things to say that occasionally, consideration of measurement issues revealed apparent rips in the fabric of reality. A simple example arises from the Daily Telegraph report of 8 February 1989, which said that “Temperatures in London were still three times the February average at 55 °F (13 °C) yesterday”, prompting the natural question: what is the average February temperature? The answer is obvious — we just divide the temperature by three. So the February average is a third of 55 °F, equal to 18⅓ °F. Alternatively, it is a third of 13 °C, equal to 4⅓ °C. But this is very odd, because these two results are different. Indeed, the first is below freezing, while the second is above. In fact, in this example a little thought shows where things have done wrong, and which average temperature is right. But things are not always so straightforward, and occasionally deep thought about the nature of measurement is needed to work out what is going on. This reveals that there are different kinds of measurement. At one extreme we have so-called representational measurement, and at the other pragmatic measurement, with most being a mixture of the two extremes. Tape measure pay by ThomasWolter. Public domain via Pixabay. The aim of representational measurement is to construct a simplified model of some aspect of the world. In particular, we assign numbers to objects so that the relations between the numbers correspond to the relations between the objects. This rock extends the spring further than that, so we say it is heavier, and assign it a larger weight number. These two rocks together stretch the spring the same distance as a third one alone, so we give them numbers which add up to the number we give the third rock. And so on. Representational measurement is essentially based on certain symmetries in the mapping from the world to the numbers, and understanding of these symmetries can be very revealing about properties of the world — about the way the world works. A familiar example is through the use of dimensional analysis in physics, engineering, and elsewhere. In contrast, a provocative way of describing pragmatic measurement is that “we don’t know what we are talking about.” What this really means is that we must define the characteristic we aim to measure before we can measure it. Or, more precisely, we define it at the same time as we measure it. The definition is implicit in the measurement procedure, and it is only through the measurement procedure that we know precisely what it is we are talking about. At first this strikes some people as strange. But take the economic example of inflation rate. Inflation can be defined in various different ways. None is “right.” Rather, it depends what properties you want the measurement to have, and what questions you want to answer. It depends on what you want to use the concept and the measured numbers for. The bottom line to all this is that decisions and understanding are (or at least should be!) based on evidence. Evidence comes from data. And data come from measurements. 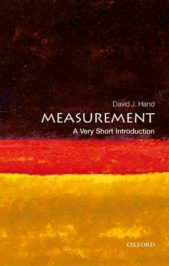 Given how central measurement is to our understanding of the universe about us, to education, to government, to medicine, to technology, and so on, it is entirely fitting that it should be the topic of the 500th volume in the Very Short Introduction series. Featured image credit: Scale kitchen measure by Unsplash. CC0 Public Domain via Pixabay. David Hand was Professor of Statistics at the Open University and then at Imperial, until 2012. He is now Emeritus Professor of Mathematics and Senior Research Investigator. He has written 17 books, both academic and more popular. His books include Statistics: A Very Short Introduction and Measurement: A Very Short Introduction, the 500th title in the series.